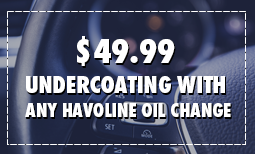 Proper oil maintenance will help extend the life of your vehicle. 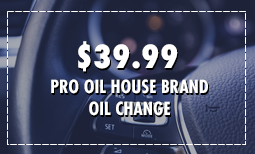 Generally the Pro Oil in Kanata recommends you change your oil every 3,000 miles or 3 months, whichever comes first. (Follow your owner's manual recommendations) Even if you do not drive often, the engine oil could get contaminated as a result of accumulated moisture. Contaminants are whipped into the oil as it runs through your engine. Neglected oil will eventually turn these contaminants into sludge. Sludge could eventually cause engine failure. 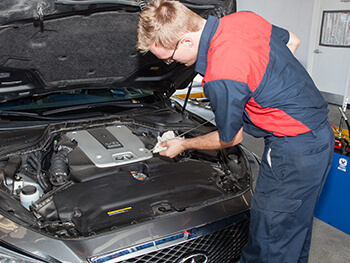 During our multipart oil change service, the technician at Pro Oil located at 10-500 Eagleson Road will replace all of the engine's oil, the oil filter as well as check and replenish all vital under the hood fluids to the recommended level with the exception of brake fluid. Along with checking your engine's air filter, inspecting your wiper blades, adjusting the tires to the recommended pressure, and cleaning your windshield, all this is done in just a few short minutes. At Pro Oil in Kanata, our certified, friendly technicians will provide you with a "next service due" sticker after your service. They will also reset your maintenance indicator light (where applicable) and offer you a complimentary beverage while you wait comfortably in your own vehicle.